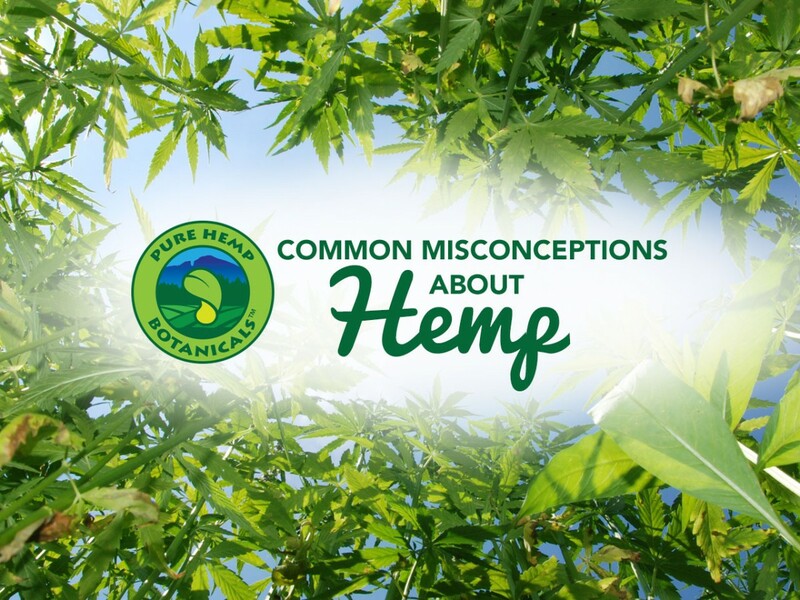 Misconceptions about hemp abound. For the ten most common, here’s help distinguishing fact from fiction. You don’t have to be a 1970s flower child to appreciate hemp products. In fact, hemp is far more prevalent in the U.S. marketplace than you may realize. Ford, Mercedes, and BMW have been using hemp-based composites in their cars for a decade. Popular brands such as Adidas, Nike, Converse and Vans have created products from hemp. The couture of both Giorgio Armani and Calvin Klein brought hemp textiles to the fashion runway. As Eric Steenstra, Executive Director of the Hemp Industries Association, points out in February’s issue of U.S. Agriculture Outlook, the marketplace for hemp ranges from textiles and building materials to health foods and beauty products. There is a growing demand for this versatile, eco-friendly resource. You may notice hemp cropping up as an ingredient in foods you enjoy like Kind Snacks’ Kind & Strong granola bars or Nature’s Path’s Hemp Plus Granola. What might seem like a sudden emergence of hemp health foods may imply that hemp is just the latest food fad. Yet hemp has been used in human and animal foods for centuries. Given the nutritional value of hemp, it is no surprise that it was once a staple in some cultures’ diets. Easily digestible hemp seeds and hemp oil provide a balance of essential fatty acids, complete protein, and are rich in magnesium, iron, and vitamin E.
Hemp and marijuana are two different varieties of the cannabis plant. Though they are members of the same family, they are not the same plant. The primary difference between hemp and marijuana is in the cannabinoid content. Marijuana plants contain 5% to 20% of delta-9 tetrahydrocannabinol, or THC – the psychoactive cannabinoid that produces the effect of feeling “high” for which marijuana is known. In contrast, hemp contains 0.3% or less THC and substantially more cannabidiol, or CBD, which is a cannabinoid that offers a variety of medicinal benefits and actually counteracts the psychoactivity of THC. If you know a little about how marijuana is cultivated, you may know that the female plants are prized more than the male plants. The reason is that marijuana farmers don’t want pollination between male and female plants since it results in seeds, which are of little value compared to the leaves, flowers, and resin of the plants. Hemp plants are monoecious which means they can be female, male, or both. Male hemp plants typically die shortly after pollination is complete. Female plants grow to maturity and are harvested. Though there are trace amounts of THC in hemp, there is not enough to produce any psychoactive effects unless an individual is extremely sensitive to THC. In Dr. David P. West’s article, Hemp and Marijuana: Myths & Realities, he explains that the high levels of CBD in hemp actually block the psychoactivity of the trace amounts of THC. If you smoke or ingest hemp with the hope of getting high, you will be disappointed. While we aren’t doctors or lawyers, so we aren’t giving you medical or legal advice, the rumor that hemp can make you fail a drug test is not backed by strong facts. The small amounts of THC in hemp foods and products (ranging from 0.01% to 0.03%) are said to only rarely ever trigger a positive test result. The rare occurrence of a false positive would usually require consuming unusually large amounts of cannabinoid-rich hemp products (more than 1000 – 2000 mg daily). The strong focus by advocates on the medicinal benefits of marijuana may seem to imply that marijuana is the only cannabis plant with such value. This is not true. Hemp has been used in medicine for more than a thousand years. Scientific research has demonstrated that CBD, the dominate cannabinoid in hemp, has significant analgesic, or pain relieving, properties. CBD has also been identified as an anti-inflammatory and anti-tumor agent. A wide range of medical and scientific studies suggest that CBD may be a viable support for more than twenty conditions including acne, alcoholism, chronic pain, diabetes, depression, schizophrenia, epilepsy, fibromyalgia, MS, rheumatism, Parkinson’s disease, and other neurological disorders. Visit Project CBD for links to some of these studies. The growing body of research on hemp and CBD establishes that hemp also offers significant medicinal value. Hiding illegal marijuana plants in a field of hemp might seem like a great cover but would actually ruin the quality of the product. Many advocates for medical and recreational marijuana have even spoken out against hemp farming because the pollen from hemp plants diminishes the amount of THC in marijuana plants. An amateur pot farmer hiding his plants in a hemp field would put himself out of business. Though hemp pollen can travel long distances, measures can be taken to ensure that it does not damage legal medical and recreational marijuana crops. Hemp farmers and marijuana farmers can work cooperatively so that both industries will thrive. While it is legal to buy hemp products, raw hemp is illegal in the majority of states which means that farmers are not free to grow it without penalties. Despite the distinct differences between hemp and marijuana, the federal government considers all cannabis plants a Schedule 1 Substance. Restrictions on hemp farming have loosened somewhat since President Obama signed the Farm Bill in 2014. The Bill allows states which have passed legislation decriminalizing cannabis to grow hemp for commercial and research purposes under certain conditions. According to Vote Hemp, only fifteen states—Colorado, Montana, North Dakota, Oregon, Kentucky, Indiana, Nebraska, Utah, South Carolina, West Virginia, Vermont, Delaware, Maine, California and Hawaii—can participate in industrial hemp farming. Unfortunately, hemp is still illegal on the federal level. Did you learn anything new about hemp? For even more information about hemp or our pure hemp products, check out the Frequently Asked Questions page or contact us here. This is awesome Alex, thanks for writing and sharing!!!! Thanks for your comment, Alayna! It’s our pleasure to pass along info about hemp. Thank you a bunch for sharing this with all of us you actually know what you’re talking about! Thanks, Hollis! We appreciate your support of Pure Hemp Botanicals!